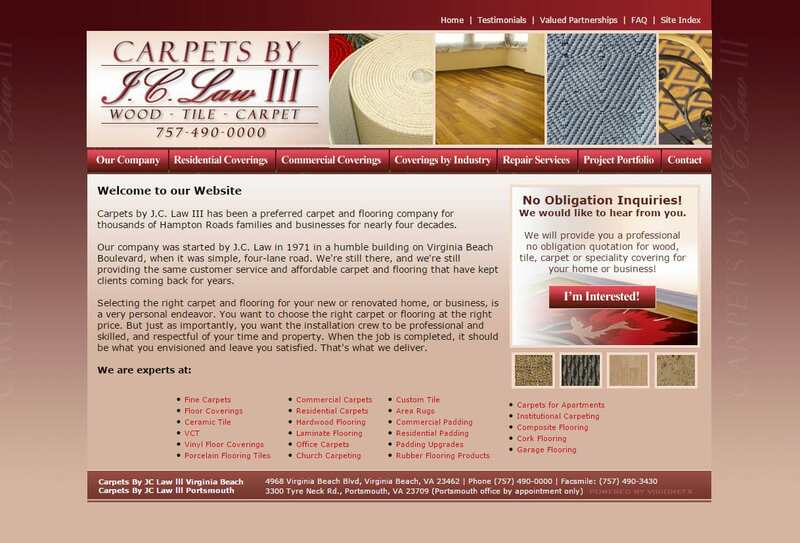 Website Design for Carpet Flooring Companies | VISIONEFX a Virginia based web design company provides on-going organic SEO work that attracts online leads and new projects for JC Law. JC Law desired to have a website that generated leads using fresh content updates for Google searches to include: carpets, vinyl, hardwood, padding, composite materials, cork flooring and specialty flooring. JC Law III has offices and facilities located in Virginia Beach, VA. When searching Web Design VA Beach VA look no further than the web design experts at VISIONEFX.